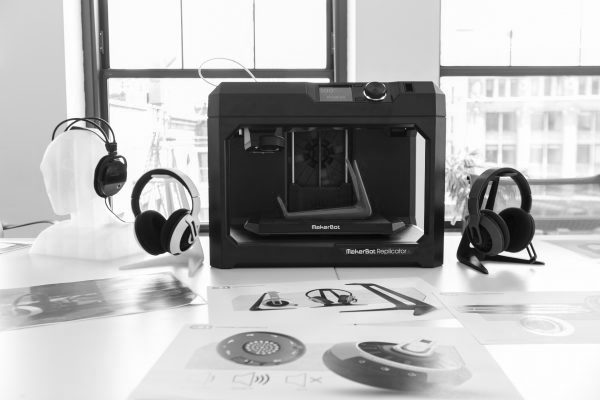 MakerBot, which began as an opensource hardware and software company, quickly switched over to a proprietary business model, much like Apple. The move was highly unpopular among mainstream 3D printing enthusiasts, and many of MakerBot’s users now are schools and individuals with little to no experience in 3D printing who are attracted to the supposedly consumer-friendly, albeit expensive, user experience MakerBot users receive. In reality, virtually everything MakerBot does as a company and its printers do as personal manufacturing platforms can be done better by smaller niche 3D printing companies who, as an added bonus, use opensource software and hardware. Companies like the Netherlands-based Ultimaker have inspired start-ups around the world building machines based on Ultimaker’s opensource designs. While Ultimaker will never become the “Apple of 3D printing,” it has secured its place within the 3D printing community as a valuable cornerstone. The result of this opensource model is a distribution of wealth through localized entrepreneurship. There is no single “Apple” making billions off of 3D printing. Instead, there is a network of smaller companies filling niches and serving local communities, glued together by more prominent names and platforms globally. MakerBot attempts in vain to dominate and monopolize what is essentially an indomitable market and it is visibly suffering because of it. One can only hope that one of the “smaller groups” MakerBot has broken itself down into, considers its roots as an opensource hardware and software company which brought it to prominence in the first place; roots that when forsaken, began MakerBot’s slow and painful slide into the abyss.